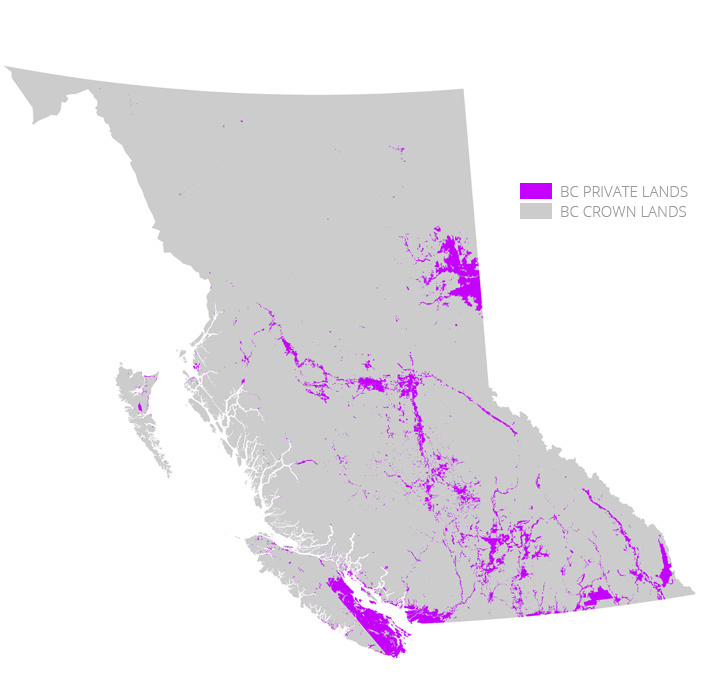 Commons BC is a loose network of British Columbians concerned with preserving the commons for all, and includes mappers, scientists, environmentalists, data visualizers, economists, foresters, human rights and anti-poverty advocates, water experts, and many others. 94% of BC is “public” or “Crown” land. Commons BC advocates for intelligent, data-driven, democratic stewardship of that land and of the public interests, common resources, shared economy and natural environment that rest upon it. To aid in this project we provide the public with maps, graphs and other visualizations based on publicly available BC data, and we advocate for adequate data collection and open government data. The idea of the commons encompasses private realms as well. We must remember that the idea of the commons actually encompasses private realms as well. Even in our towns and cities we enjoy public services, rights, amenities and spaces that require regulation and protection. Regarding “Crown” lands, remember that the Supreme Court of Canada has ruled that First Nations title co-exists with Crown title.